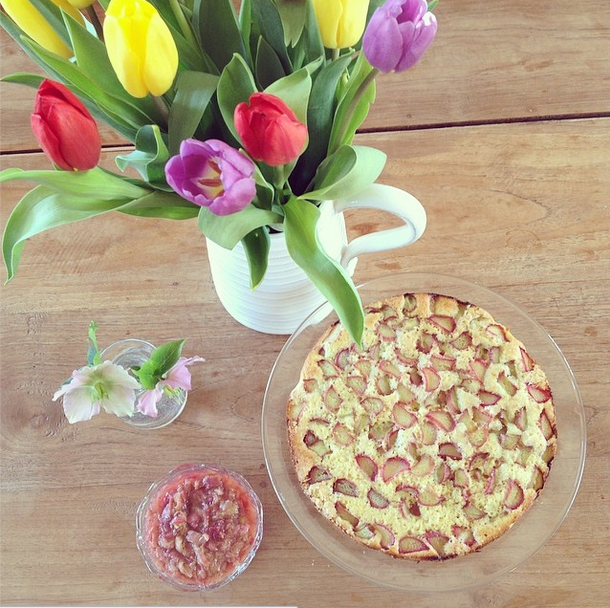 Yum, it's rhubarb season! One of my favourites. I love the it's pinky green hue and how delicious it is with vanilla. We're hoping that we'll have a big supply from our allotment this year but Ben's mum always has an abundance to give away with leaves bigger than our heads. What are your best ways to use it? Here are a few of mine.. The easiest way to prepare it is to cut the stalks, with scissors, into 3cm long pieces and put into a roasting tray with some vanilla extract and a sprinkle of sugar. Cover it with foil and roast in the oven at around 180c for 20 minutes. It will be heavenly after as a compote with overnight oats for breakfast, on it's own with some with vanilla ice cream or in a crumble with custard. This crumble cake recipe is always a winner too, a sponge layered with rhubarb and then topped with a crumble topping and brown sugar. It was from the Sainsbury's magazine a few years ago and is great for an afternoon tea or warm for dessert with ice cream or custard. 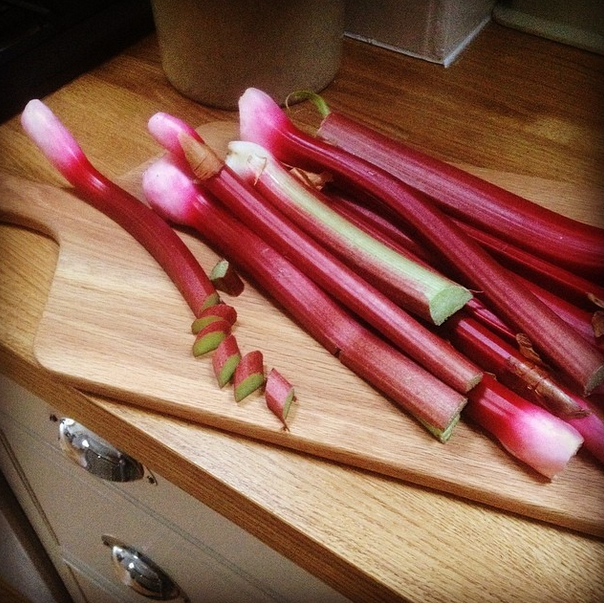 Trim the rhubarb and chop into 3cm pieces, I use scissors it's easier. Place in a bowl with the lemon juice. In a separate bowl beat together the flour, butter, sugar, eggs and vanilla. 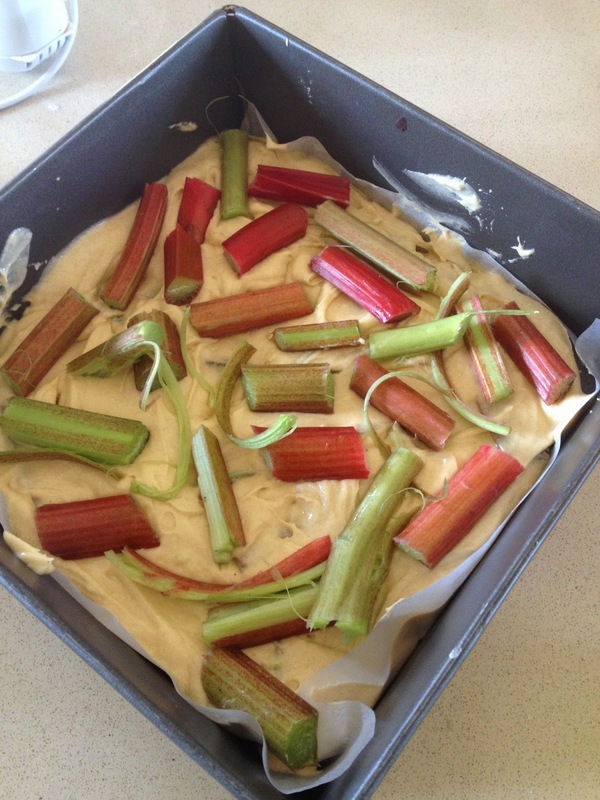 Fold in half the rhubarb and spoon the mix into the bottom of the tin, spreading evenly to the edges. 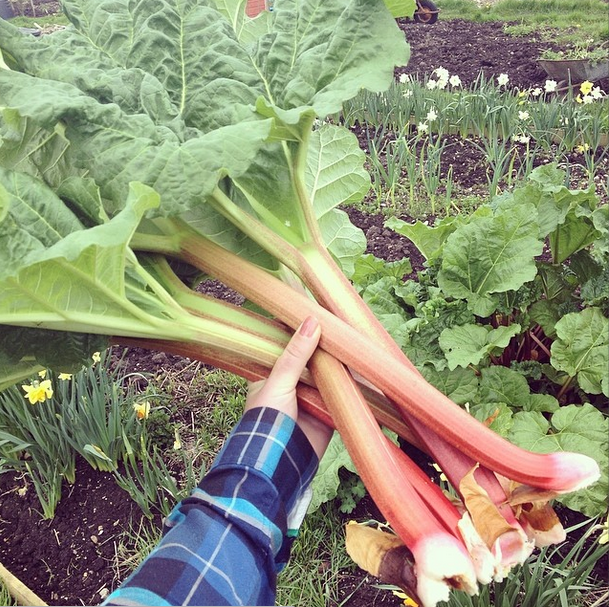 Scatter over the remaining rhubarb. For the topping, rub the butter into the flour then stir in the sugar and ginger. Sprinkle over the cake mixture. Bake for 40-50 minutes until a skewer inserted into the sponge comes out clean. Leave to cool slightly and then serve, cutting into squares.